Tis the time when mother nature lets us know that winter is fast approaching. I'm almost ready for it. My tiny garden has been planted with a small winter crop of turnips and kale. The leaves have fallen providing a nutritious blanket for the garden. There is a feeling of stillness to nature. The morning sky was laden with overcast clouds signaling a storm was more than likely on its way. I was in my truck on my way to talk with an interesting man by the name of Caroll Cain, a maker of bird houses. Not birdhouses for his home but for his full time worksite. And not just any style of birdhouses -- mostly for purple martins. Mr. Cain works at a trash transfer station. How this works is that locals bring their trash to this place to load into large metal containers that are eventually hauled away to a land fill. 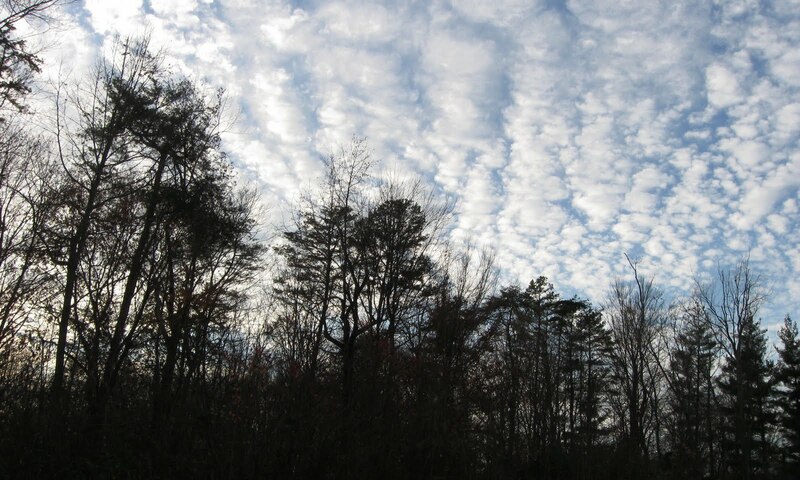 The landscape of the transfer station is serene and was once an old large farm site. Rolling acres now lay fallow with pods of trees emerging on knolls. Here in this picturesque place, Mr. Cain has created a village of sorts for purple martins and eastern bluebirds and other assorted birds. But mostly purple martins and bluebirds. What appears to be the higher of the two above martin houses is the first house that Mr. Cain built for the martins about ten years ago. The one in the above photo with the white gourds hanging from it was bought commercially after a few years into providing housing. The hanging gourds are not real gourds but rather imitations -- more durable against the weather than the old idea of using real gourds out of the garden; a traditional ways of providing housing. Caroll Cain is a man of 72 years and has spent the last 17 years working at the station. We began talking about his birdhouses as the impending storm headed directly toward us. but it held off long enough so that I was able to hear an intriguing story from Mr. Cain. 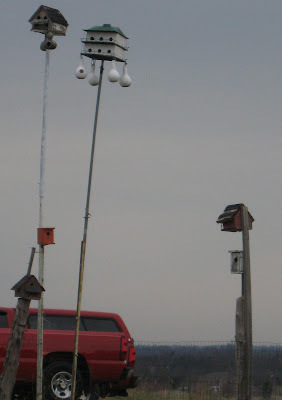 About ten years ago he noticed purple martins hanging out on the overhead electrical lines near his trailer office at the station. He thought that he would make a home for these birds and began to pick out pieces of trash that people would bring in for disposal. Like pieces of plywood, old wood and other materials that could be used to construct birdhouses. 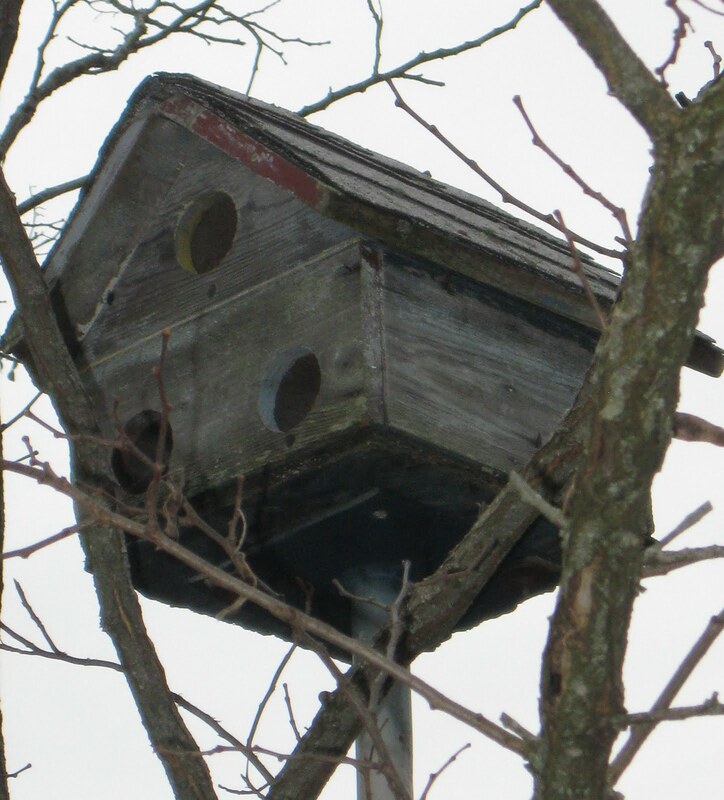 That winter, in his spare time, he worked on constructing a purple martin house. 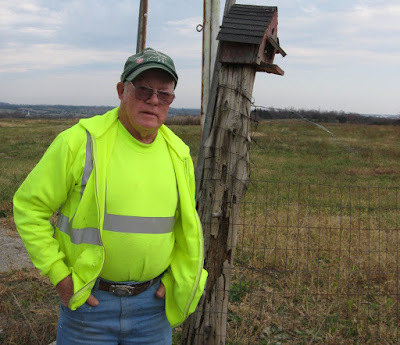 He has since built all the many houses around his work-site except for one commercial purple martin house -- all from recycled trash. His first season of placing his homemade martin house on a pole was successful. 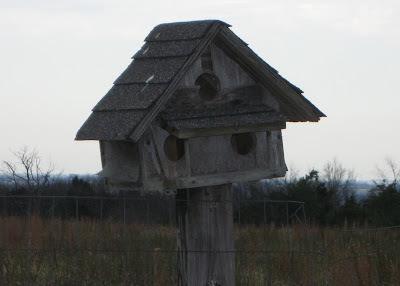 The martins made the new birdhouse their home and have been coming back every season for the past ten years. Also, bluebirds have joined in the bird village atmosphere thanks to Mr. Cain who made and placed birdhouse boxes for them. He also built a few regular birdhouses open to any species. Apparently Mr. Caroll's fascination with the purple martins was contagious. It led to other folks appreciation of his birdhouses. 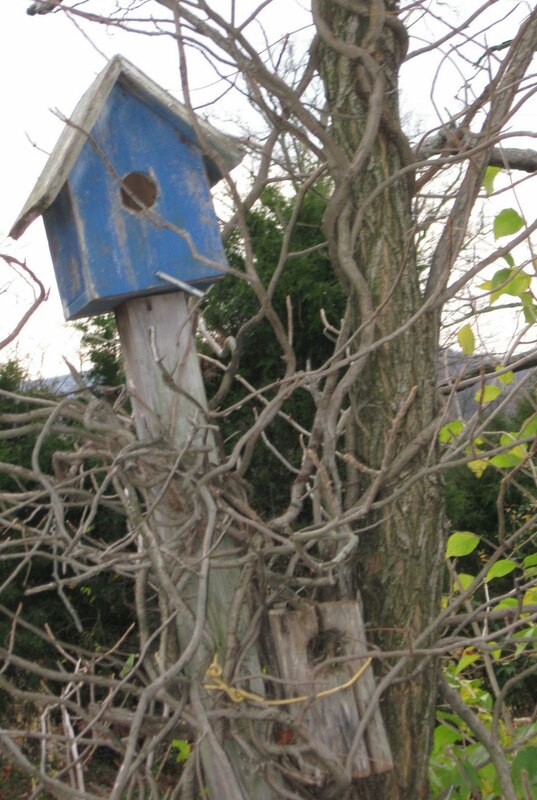 He began making birdhouses for people using the recycled materials. One man requested 25 bird houses. I did not count all of the birdhouses that were tucked here and there around his office site. They were all within about an eighth of an acre. To find out about the decline of bluebirds click here. Mr. Cain told me that a few purple martins start arriving in the spring about the last of March, they seem to be the scouts. Then the full flush of Martins arrive in April or May. The summer of 2009 saw an increase in their population at the station. By August they have left the site. I did a little research on purple martins and found that according to a 2001 study that their populations are declining in the northern part of the U.S. while remaining stable or increasing in the south. A recent migration pattern study found that purple martins migrate to the Amazon Basin and back. Scientists followed two female martins from Pennsylvania -- 9,300 miles to and from the Amazon basin -- that's about a 4,650 one way trip for the birds. The martins were recorded as flying about 358 miles a day during migration. 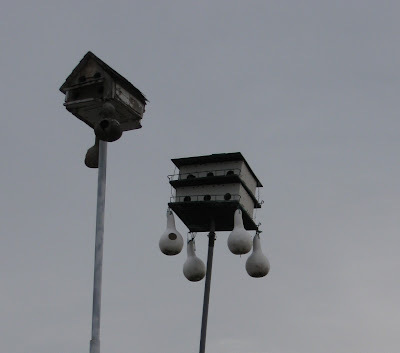 Mr Cain's purple martin houses, for the most part, are three-holed and can be found on poles at various heights. 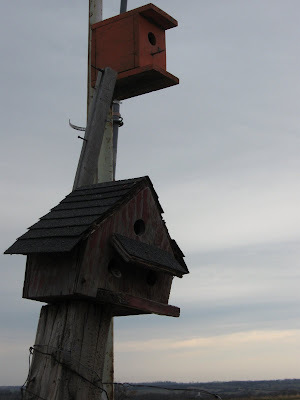 No longer making birdhouses, he has influenced many that come to the transfer station about the role of birds plus how one can use recycled materials creatively. The martins had left in August. Now it was time for me to leave as it had started to rain. As I drove home in the rain I was reminding myself that one person's actions can make a difference. The Stoker store sits amongst a few homes in a rural part of Madison County. A sign on the side declares the name as STOCKERS GROCERY AND GENERAL MDSE but underneath the name is a faded, unreadable former name. Old general stores, similar and not so similar in construction, are scattered and can be found sometimes within miles of each other. Their time of life was before box stores and fast cars. At one time close proximity to the population being served was the important factor. 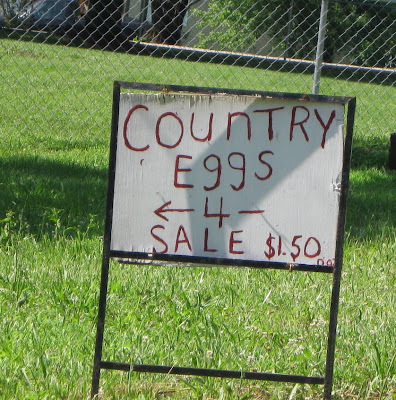 I've always been interested in country general stores. At one time they played multiple roles in their community, both as goods and service providers plus a community hub. 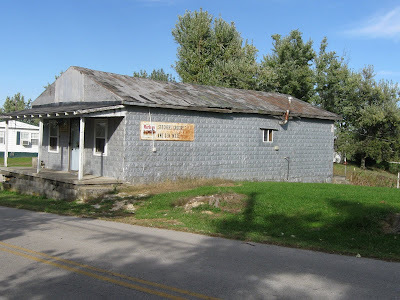 In many areas in Kentucky structures still exist but are either in an out-of-business/state-of-decline or have been turned into a newer type of small country business or homestead. Very few remain as general stores. They were where you met your neighbors, discussed local events, sometimes did a little horse trading, and picked up your mail. 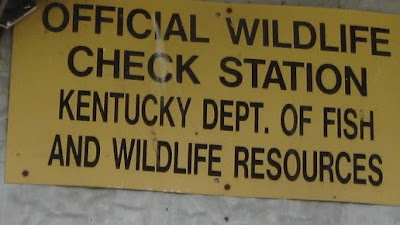 In the photo below a sign on the old store tells us it might have also served as an official wildlife check station. 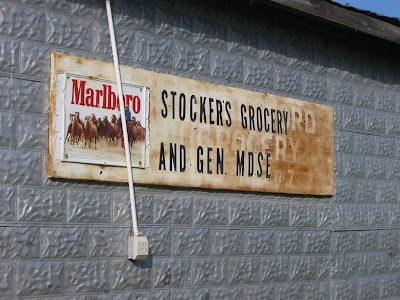 SIGN AFFIXED TO OLD STOCKER GENERAL STORE -- MADISON COUNTY. The last name of the store was Stokers, a prior name is shadowed underneath the black letters. I feel the siding is unusual. It is applied to the sides of the building in metal sheets rather than individual squares. The roof is metal and worn to a rusty brown. The store shows no sign of life. Unusual window awning -- made out of the siding. I try to piece the parts together -- what part did this store play for the local community? 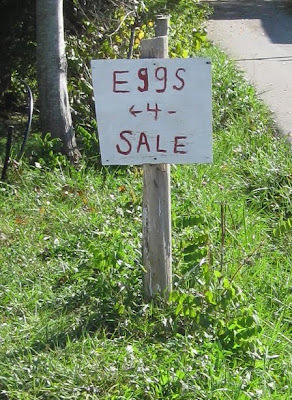 I ask myself if the wildlife sign was a service of Stocker's business? The few homes now surrounding the store are newer so I can imagine that the store was very rural at one time. 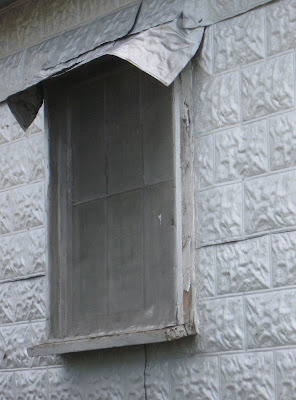 Also, where did this type of siding originate? I have seen it wrapped around porch foundations on early 20th century rural housing. It can be bought today as a historical siding on the internet. but that still leaves the question in my mind as to its history and how extensively was it used. I hope to post more about general stores in the future. 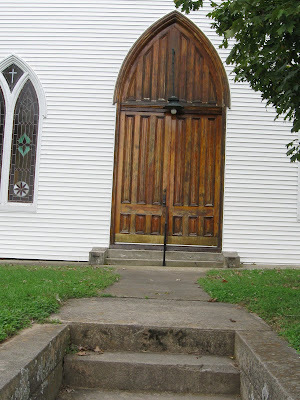 When I am out in the country, I am always amazed at the many lovely small country churches that I come upon in Kentucky. They are very picturesque, simplistic in form and well maintained. Most are small as my photos illustrate. The churches featured in this post are from the 1800s or before. A common denominator of their architecture is the gable end front entrance or some call it the temple front. Usually rectangular, constructed with weatherboarding sides (wood), brick, or historically log. I have not been able to identify any rock or stone country churches as of yet. Of course, over the years some changes have been made to these country churches. However, they are minor to the overall function and form. Here on this Methodist church we see a porch that was probably added around the early 1900s. The main structure has the original foundation of stacked limestone while the front porch area has a cement block foundation, probably from the early 1900s. The weatherboarding sides are covered with modern siding. I am sure that adding the siding was a matter of abolishing the tedious work of painting the church every few years. Out in the back-yard of this church is a covered picnic area with picnic tables. An old church practice, still found sometimes today in Kentucky and other regions, is to have outside church dinners. These church dinners would be held on the church grounds ever so often. 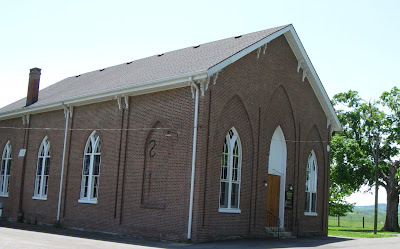 An early name for a church in Kentucky was called a Meeting House. I have found in the literature that these very early churches in Kentucky were usually constructed of log. 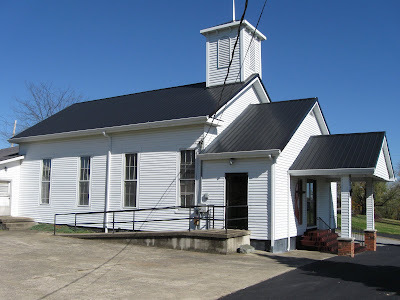 I have not personally come across one as of yet, but there is one in Tompkinsville, Kentucky called the Old Mulkey Meeting House that is believed to be one of the oldest wooden buildings in the state. It has chinked and daubed walls, clapboard shutters, puncheon floors, and handriven shingles. The old country church cemetery resides within a few feet of the original Mulkey Meeting House and several distinguished persons are buried there. One is Abe Lincoln's sister Hannah. 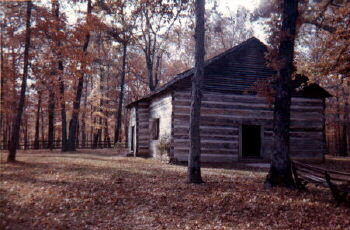 Now located in a state park one can visit the Meeting House and cemetery (click here). This church was established in the early 1800s but the current structure was not built until 1878. The stained glass in the Gothic windows was replaced in 1995. The replacements were copied from the church's previous stained windows. The 1878 church is a classic example of Gothic Revival style popular amongst churches during the last half of the 1800s. 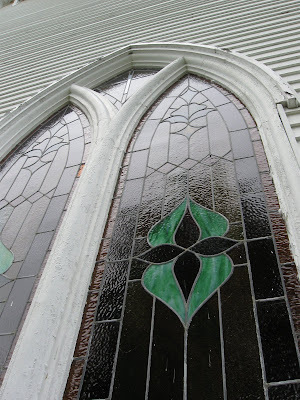 A close up of the Gothic window frames with replaced stained glass windows. 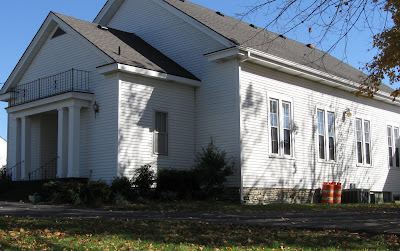 Kirksville Christian church is one example of the popularity of Gothic Revival style that many churches adopted across the nation, both urban and rural. Paint Lick Presbyterian church was founded in 1784. It began its life in the church's cemetery. following came a second church in 1830 and the present church in 1875. The 1875 being the popular style of the time, Gothic Revival. These few churches presented here are a sampler of the many found in Kentucky country. As I find more with unusual pasts or parts I will include them in a future post. These small churches were often the life blood of the community in the 1800s when transportation was primitive as was communication outside the area. Church cemeteries are often associated with country churches. I remember going to my grandmother's funeral at a country church in Ohio. I was about six. Her coffin was in the church for the service and then taken outside only perhaps a few feet, and then had her burial right then and there. A large gaping hole had been dug for her coffin.. She was lowered into the ground while friends and family stood around the gravesite. She was lowered by a couple men using thick long ropes. Then the men took shovels and started to throw dirt back in the hole after the coffin had been completely lowered. That was the old country way in the past. 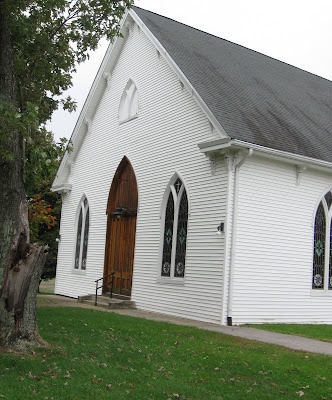 The churches in this post all have active parishioners except for the Mulkey Meeting House. 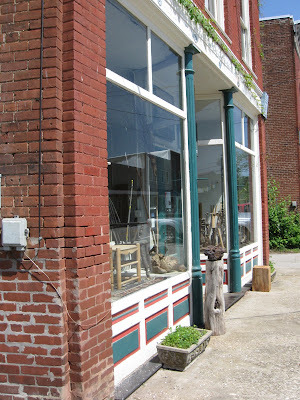 Paint Lick is a small unincorporated town with a business section of about twelve stores near scenic Paint Lick Creek. Fortunately it retains several historic buildings that preserves its "sense of place' to the streetscape as well as to the cultural landscape. Above photo is the old Calico and Brown original storefront which includes a history that goes back to 1901 as a general merchandise store. Under a new use, it is a workshop run by Don Weber, wood turner tradesman. 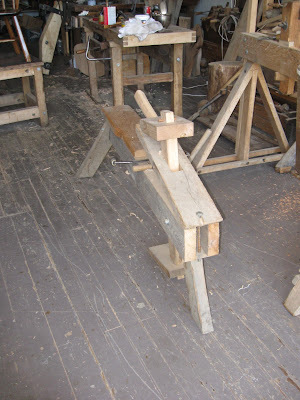 Among his many talents are hand crafting chairs, benches, stools, timber framing joinery, and tool making. The list goes on but the focus is old methods of crafting with wood. Mr. Weber has written many articles for various well-known publications. The above roofing tool sits among Weber's many projects of newly made items. The roofing tool is sitting on the original wood floor, painted gray, of the old storefront. The building has been kept, as much as possible, in its original condition. 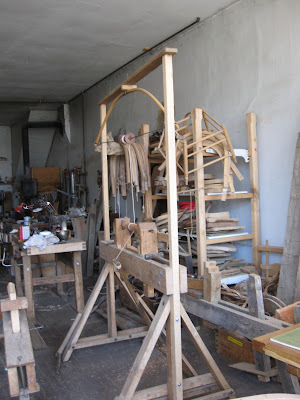 The photo above is an example of the many facets of wood tuning that exist in his workshop. Located in a farming community of clean air and no crime to speak of, it is a hidden jewel of a community.